Author Rick Steber will share his passion for storytelling and history with Mission Valley residents through a talk at the Ninepipes Museum of Early Montana on April 25 as well as several talks planned at area schools. As the son of an educator and school principal, education and history has been an integral part of Steber’s life. He has worked with the U.S. Department of Education to set national educational standards and achievement levels for U.S. history curriculum. Steber’s visit to Montana allows for stops at numerous schools throughout the Mission Valley, and the project is funded primarily by Humanities Montana, the Lower Flathead Valley Community Foundation, and various local individuals and businesses. At the close of each talk, he will personally autograph books and present them to the students. Educators from around the Northwest who have witnessed Steber’s storytelling abilities have universally stated how powerful and meaningful it is for young students. 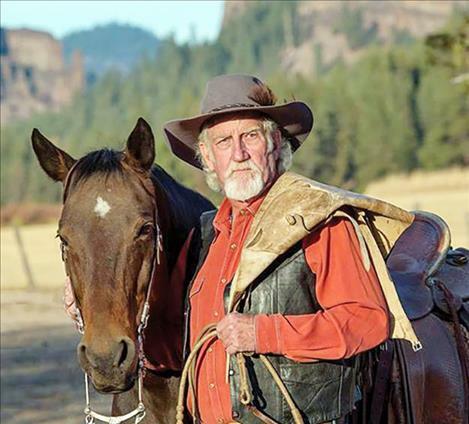 One of his most recent books, “Red White Black: A True Story of Race and Rodeo” relates the story of Jackson Sundown, and will be the focus of his public presentation at the Ninepipes Museum of Early Montana at 7 p.m. on Wednesday, April 25. Steber will tell how this Nez Perce man rose to the top, beating the white man at his own game, and became the World Champion at the 1916 Pendleton Roundup. Jackson Sundown was the nephew of Chief Joseph and has a connection to the Flathead Reservation following his years in Canada after the Battle of Big Hole in 1877. Space is limited for this presentation. The ticket price of $20 per person also buys a raffle ticket; the three raffle items include a commemorative Pendleton blanket honoring Jackson Sundown, a gift package of Rick Steber books, and a vacation package valued at over $400. Call the museum at 644-3435 to make your reservation.